The Orah 4i made a big splash in the news, with its ability to livestream in 360 in 4k. There were lots of comments of amazement. For example, Mashable’s headline was: “Finally, a camera that can live stream virtual reality.” Engadget said “The Orah 4i camera makes live 360-degree videos a reality.” The Verge went on to say that the Orah “could make live-streaming VR cheap and easy.” Comments such as these were echoed on Twitter and elsewhere, with users drooling at the possibility of livestreaming in 360. The 360Fly is a 360 hemispherical camera that is known for its action camera capabilities, being waterproof and all. But it can also livestream in 360. The 360Fly can connect to the Livit app and livestream in 360 to your friends and followers. You can see some recorded livestreams for yourself on Livit. No, the livestream is not broadcast quality or in 4k, but it won’t cost a mortgage payment either. The 360Fly is $399, and its soon-to-be-released big brother, the 360Fly 4k will be $499. And, it’s available right now. The Ricoh Theta S is the current darling of 360 photographers, being a consistent top-seller on Amazon. 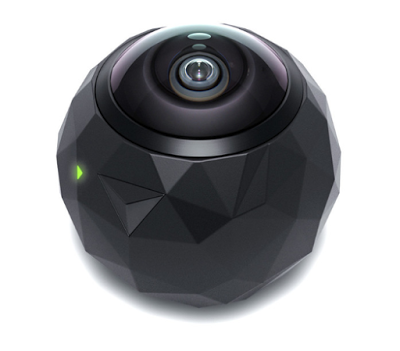 It takes a full spherical 360 x 360 photos and videos. Yes, it can livestream in 360, via HDMI. Ricoh also added USB livestreaming, so you can connect it to your desktop like a 360 webcam. Although the Theta S has livestreaming capabilities, the problem is that there are no apps yet to actually use its livestreaming. That is expected to change this month, as Ricoh has announced that it will add “video communication” capabilities to the Theta S via firmware. BTW, the Theta S is the most affordable livestream-capable camera on this list, at around $350. 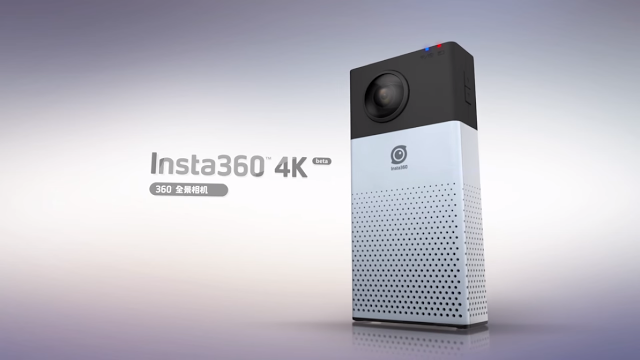 Insta360 is a relatively new company based in Shenzhen, which has two 360 cameras. One of them is the Insta360 4k, which as the name implies, can capture 360 videos in 4k. While photographers outside of China might be skeptical, Insta360 has already posted several sample videos that show pretty good image quality, and true 4k resolution. 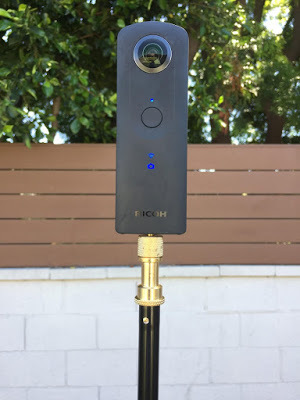 The Insta360 4k also has 360 livestreaming capabilities, as shown in the product video. However, its live-streaming software has not yet been translated to English. It costs $599 and is available now. UPDATE: I’m inquiring with Insta360 re details of its livestreaming capabilities. They’re surprisingly good. In summary, none of these 360 cameras can livestream 360 in 4k at 30fps as the Orah 4i can. But these cameras cost much less, are more portable, and are more practical for most consumers.